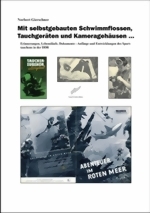 Sie sind hier: Home » Postkarten - Postcards » Postcard - Navy Diver..
Datum / ÄRA: Postkarte/Fotographie, aufgenommen am 20. July 1954, Tobermory Bay, Korea. A Navy diver, using special underwater cutting equipment is shown working his way through a ship resting at the ocean's bottom during a port operation in Pusan Harbor. 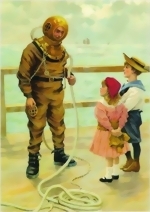 His diving suit and helmet permits him to work at a depth of more than forty feet. 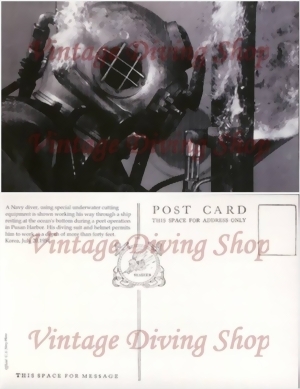 original titles: "A Navy diver, using special underwater cutting equipment is shown working his way through a ship resting at the ocean's bottom during a port operation in Pusan Harbor." date / ERA: Reproduktion from an Postcard/Photography, taken on July 20,1954, Korea.